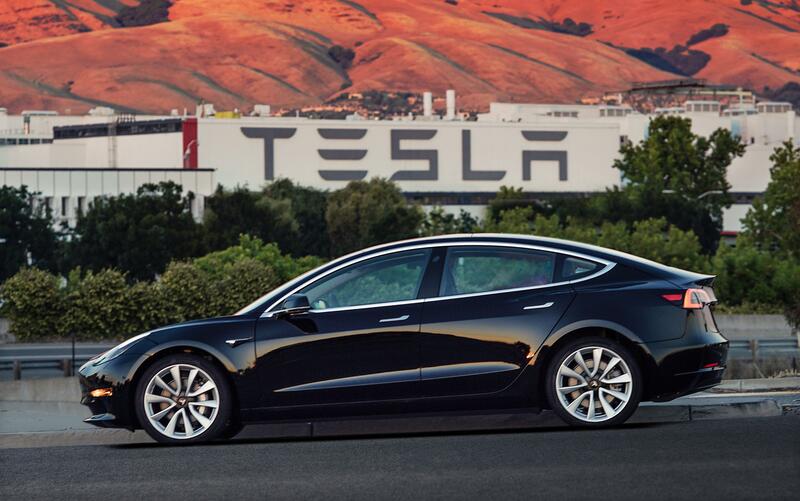 PALO ALTO, Calif. – The Securities and Exchange Commission investigated Tesla over how it was selling its Model 3 sedan, but the company didn’t tell investors about it, and may still be under federal investigation, according to a new report. The firm led by CEO Elon Musk was under investigation by the securities regulator from June 2016 to May 2017, according to SEC documents. The Palo Alto electric-car maker’s process for selling the Model 3 – a $35,000 sedan aimed at the mass market – involved taking $1,000 deposits for future delivery. Hundreds of thousands of would-be Tesla owners have put up money for the Model 3. The SEC investigation into the company ended with no enforcement action taken. But the regulator’s refusal, on law enforcement grounds, to provide certain other records suggested that “there is at least one other unresolved SEC probe” into Tesla, according to investment-research firm Probes Reporter, which obtained and published the SEC records. The research firm noted that Tesla had not told investors it was the subject of an SEC investigation. Tesla is already facing criticism after announcing in its most-recent earnings report that the Model 3 was three months behind schedule for deliveries to purchasers. Tesla is also fighting three lawsuits by black factory workers alleging that racial slurs were used against them and that the company ignored their complaints. Published: Dec. 15, 2017, 8:27 a.m.